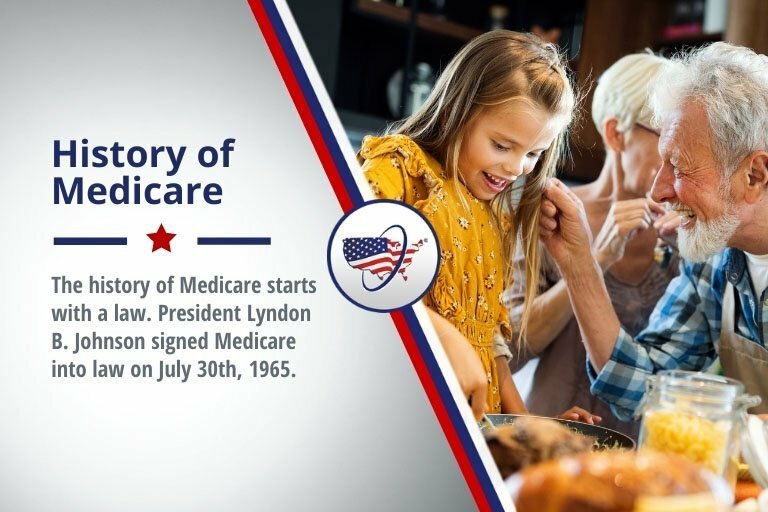 President Lyndon B. Johnson signed Medicare into law on July 30th, 1965. Since then, there have been many acts put in place to help protect beneficiaries. Below, we’ll discuss each act that has impacted Medicare history since Medicare started. Also called the “Baucus Amendment”, this legislation helped to protect consumers and their policies. However, there were people taking advantage of this program from both the consumer and insurance sides. To fight this, the government introduces the Medicare and Medicaid Patient and Program Protection Act in 1987. This would make providing false medical information to become a felony crime. As the eighties came to a close, the government passed several other acts to further enforce and protect Medicare Supplement coverage. One of these acts was the Medicare Catastrophic Coverage Act. This act implements several restrictions to further protect consumers, such as out of pocket maximums and premiums. In the nineties, these plans continued to be a highly discussed topic. During this time, several of these voluntary guidelines of this program was replaced with mandatory standards enforced by the federal government. One of the most vital standards was the limits placed on preexisting conditions that could cause a person to be excluded from a plan. A few acts were passed that amended the previous standards. The last act to be passed in the nineties was the Omnibus Consolidateded and Emergency Supplemental Appropriation Act of 1999. The most important part of this act called on the providers that paid these specific plans. With the passing of this act, they were now subject to civil penalties. As the 2000’s began, this coverage continued to change. In 2001, the government looked to protect those that experienced sudden life changes or other changes to their health insurance policy status. Under the Consolidated Appropriations Act of 2001, these users were protected and able to purchase new supplemental coverage. This act also made sure that any preexisting conditions that had been excluded from the previous policy were also excluded from the newly acquired policy. Prescription drugs became a point of discussion for coverage in 2003. The Medicare Prescription Drug Improvement and Modernization Act changed the way Medigap insurance policies treated prescription drugs. Depending on the plan, some could keep their old policies while others were given the option to purchase new plans. Those that had to purchase new plans were protected from rising premiums. The federal government made it illegal for the plan provider to take into account the buyer’s past claims, health records, pre-existing conditions, and other issues to calculate the premium. It was after the passing of the Medicare Prescription Drug Improvement and Modernization Act, that the federal government introduced two additional Medicare Supplement plans. These were the only two plan options that had to include these features. However, there were plenty of Medigap plans available from Plan A to N. As the plans evolved and new legislation changed the requirements and guidelines, some of these plans became obsolete. For example, after 2010, Plans E, H, I and J were no longer valid. Another turning point for Medicare Supplement coverage came in 2008 with the introduction of the Genetic Information Nondiscrimination Act. This act made it illegal for a health insurance plan provider to discriminate against genetic information. All of these acts in the long history of Medicare Supplement insurance brings us to our current standardized Medigap insurance plans. Currently known as the third generation of plans, the three groups of plans have been meticulously adapted and changed throughout the years since their creations.